Say hello to your new favorite way to cook pasta. There is no draining involved here, you cook the pasta in a flavorful bone broth or stock (store bought is fine! ), which creates a creamy and flavorful sauce as it starts to reduce and get absorbed by the pasta. You'll only need 4 oz of pancetta or bacon for this recipe, but cook all 8 oz and reserve the leftover for a dinner later in the week. 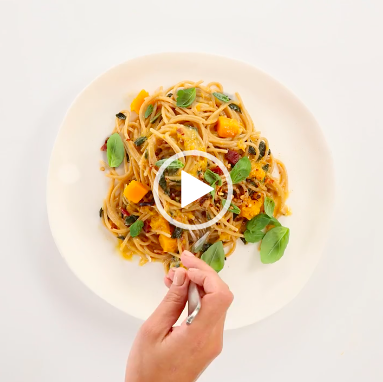 Feedfeed Tip When finishing pasta with cream, mascarpone or butter, always be sure to add it off the heat to prevent the dairy from curdling and breaking your sauce. Got 20 minutes? 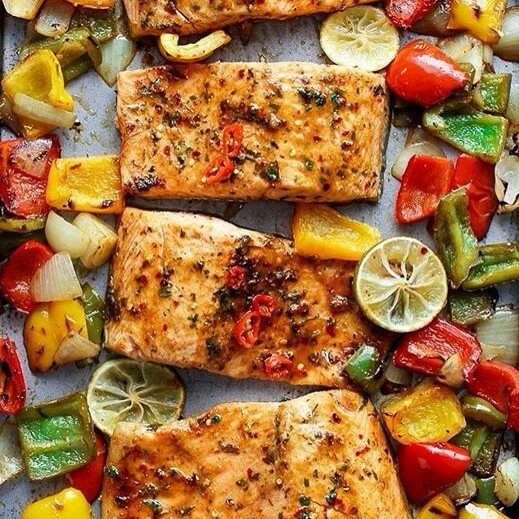 Then you can enjoy this quick and easy sheet pan salmon dinner! We suggest doubling up on the peppers and onions, and making 2 more salmon filets than you need to use for leftovers later in the week. Serve with brown rice. Feedfeed Tip Behold the broiler! Bad news, winter isn't over any time soon. Good news, your broiler is the next best thing to a grill! Be sure to put it to use during the long winter months. Just keep an eye on things, they can cook quickly! Here's where you will use those extra roasted peppers and onions. Simply use the pre-cooked veggies instead of the vegetables called for in the recipe. 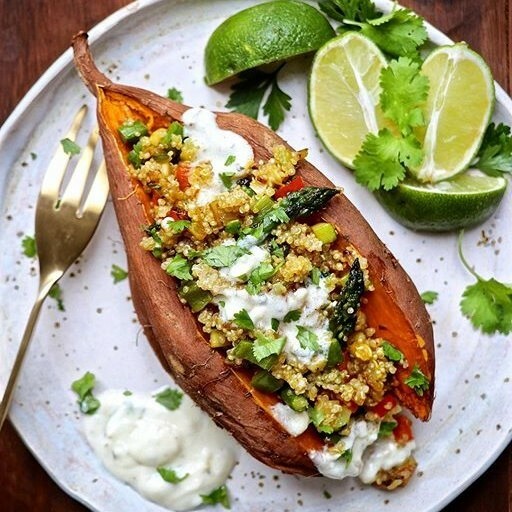 Heat them slightly in a pan with the spices called for in the recipe (if desired) and add them to the cooked quinoa before proceeding. 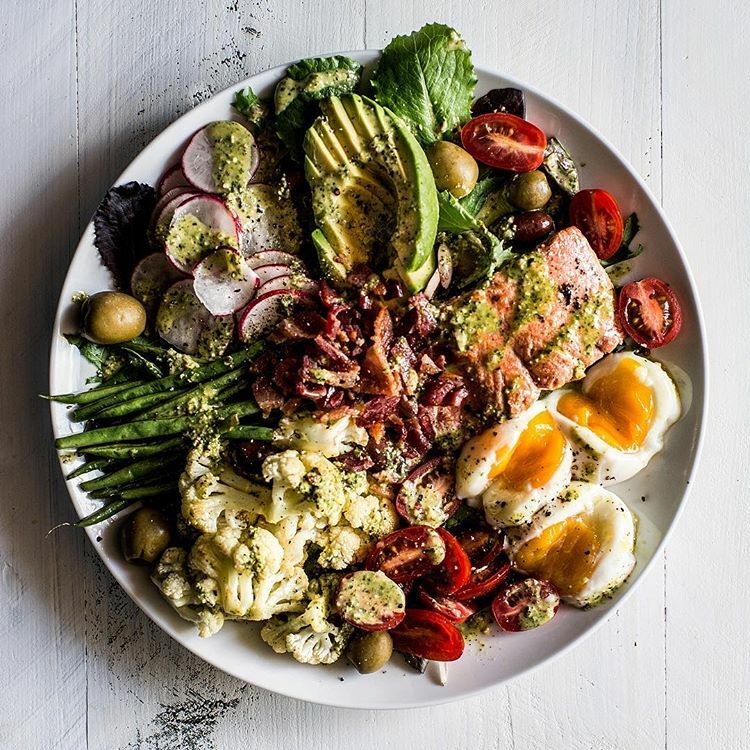 We can't resist a niçoise style salad, especially when most of the work is done ahead of time! Use your leftover salmon and cooked and crumbled bacon or pancetta here. Feedfeed Tip Got dressing stress? If the perfect emulsion is evading you, throw everything in a mason jar with a tight fitting lid and shake it like you mean it! You'll get a perfect dressing every time. All this simple spicy tomato sauce needs is a 15 minute simmer on the stove. 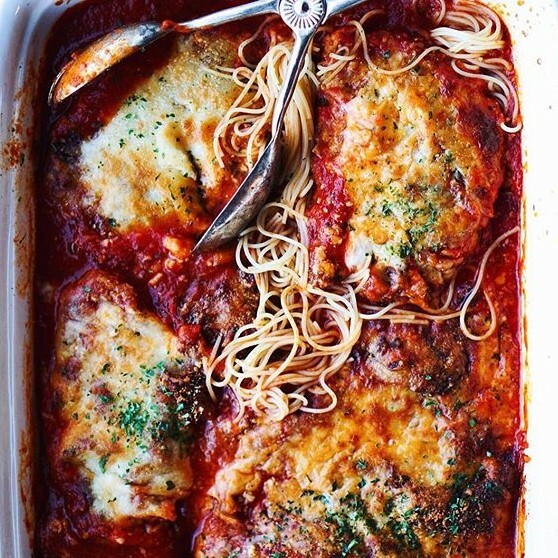 Double up on the sauce to use the leftovers for the chicken parmesan, and freeze any extra for a later use. 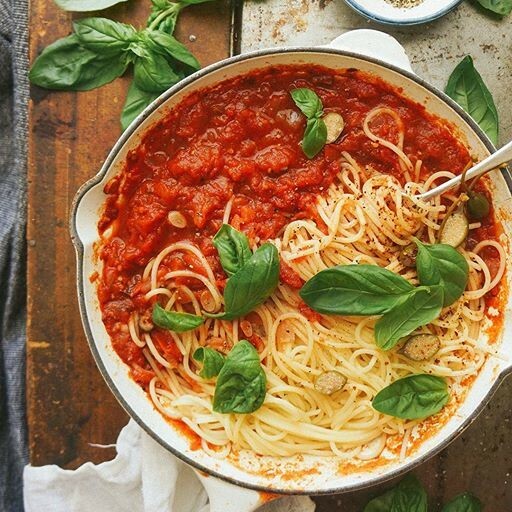 Feedfeed Tip When cooking tomato sauce (or anything acidic), it's best to use a pot made from a non-reactive metal (stainless steel is best) as cast iron, copper or aluminum can interact with the acid affecting the color and taste of the finished product. A comfort food classic! Use leftover arrabbiata in place of store bought sauce. Feedfeed Tip When breading anything, be sure to season the flour, egg mixture and breadcrumbs. Layering each component with flavor will ensure a properly seasoned final product. Before you add your chicken to the hot oil; add a bit of the leftover breading to the pan. If it bubbles up immediately, you are ready to fry, if not, give it a few more seconds to get to temperature. 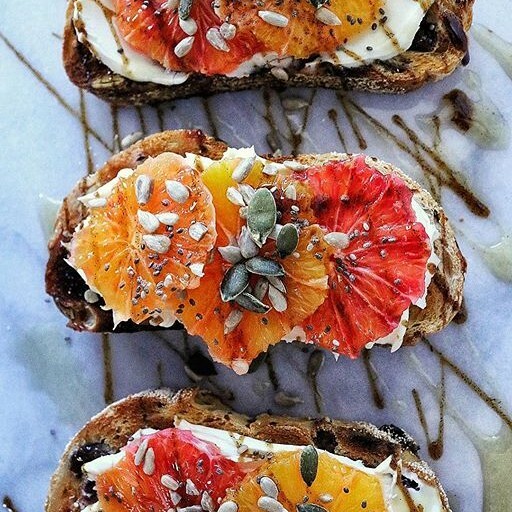 Since you'll have plenty of mascarpone in the fridge leftover from the one pot pasta, put it to good use on a seasonal toast! This version is topped with fresh blood orange, but feel free to top it with whatever fruit you have on hand.